BOYNECLARKE LLP is pleased to announce and welcome J.W. Stephen Johnston to the firm. Stephen joins our Accident and Personal Injury Team as Counsel. Originally from Dartmouth, Nova Scotia, Stephen has practiced law for 32 years within the province. Prior to joining BOYNECLARKE LLP, he worked as In-house Counsel at Intact Insurance for 26 years. In addition to Stephens extensive experience in the world of personal injury litigation, he has widespread knowledge of insurance coverage and general insurance litigation. “We are excited to have Stephen join us as the newest addition to our team. Stephen is a great fit with our firm’s overall vision and culture. He brings tremendous experience and adds depth, and diversity, to our Personal Injury team. Stephen’s extensive knowledge as in-house counsel working for Intact Insurance will be an asset to both our lawyers and our clients. Our personal injury clients will greatly benefit and take advantage from having Stephen’s years of experience defending claims.” stated Managing Partner James D. MacNeil. 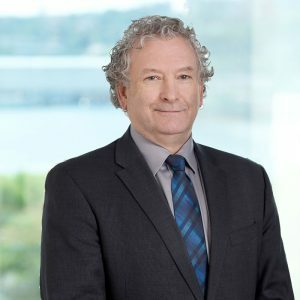 Stephen is a member of the Canadian Bar Association, the Nova Scotia Bar Society and has worked as an adjudicator in small claims court for the past 15 years. One of Atlantic Canada’s largest law firms, BOYNECLARKE LLP is a blend of personal, business, and institutional lawyers. BOYNECLARKE LLP is a member of TAGLaw, a worldwide alliance of independent law firms and one-third of the TAG Alliance.